The bulk of my working career has been spent in the field of High Tech in Silicon Valley California. I worked with a number of engineers and at one holiday party we got into a conversation about being in the ‘Gold Chain Club’. Many of my colleagues were older, having been married for some time with grown children. We were within striking distance of Christmas and they were bemoaning the task of finding a gift for their wives. They commiserated over the wives usually preferring jewelry however anything implying ‘taste’ on the husband’s part would surely fail. Watches seemed a cusp item, not a ‘sure fail’ as earrings, rings, bracelets or necklaces had uniformly been proven to be. They felt their children could ‘wrap up dirt’ and give it to their wives and it would be the favorite gift of the day. Clearly feeling trapped and forlorn they all confessed that buying a gold chain for their wives worked and they each did it annually. I sat silent, somewhat horrified listening to all of this. I was not married at the time and could not either fathom this malady or the notion of receiving the amount of gold chains commensurate with the length of some of the marriages for fear of looking like Mr. T. As the event wound down I returned to my office to find a holiday gift from an employee of a bag of oranges from her tree. I was elated and it was obvious. I turned to find one of the engineers behind me stupefied that I could be so excited over oranges when purchases of hundreds of dollars of jewelry were dismissed by their wives. I am now married and have been for some time. My husband does not give me gold chains and I’m frankly still more excited about fruit. My most exciting find of late was in visiting the hidden gem Hoot ‘n Howl farm to pick raspberries only to learn they grow Gooseberries as well. I’ve never had a gooseberry. I’ve never seen a gooseberry but the prospect of discovering a new fruit and picking it myself was almost too much to bear. I turned to my daughter who was with me, and COULD wrap up dirt for a gift and I WOULD find it the most treasured thing, and said ‘I can’t think of anything more exciting than discovering a new fruit!’ ‘I know you can’t’ she gently acquiesced. On two, short slightly gangly shrubs were the end of the season of gooseberries. I was instantly in love when finding the small, stripped orbs hanging each by a dainty stem appearing like a flock of dirigibles or lanterns at an outdoor party. 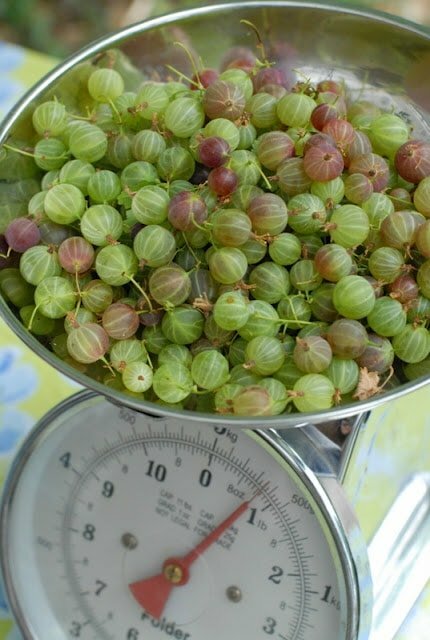 I picked precisely 2 pints worth, just enough to make a coveted batch of miniature Gooseberry Pies. When picking fruit oneself the reverence for it goes way up. You want to use every single berry and to prepare something worthy of your efforts, valiantly honoring the fabulosity of the fruit. My choice of what to make was gated by the amount of gooseberries I picked. I had enough to make three teeny weeny pies. They were perfect as single serving pies; enchanting and magical. The preparation of the gooseberries was simple to feature the fruit center stage. I don’t imagine everyone reading will make three tiny pies so I’ve broken down this recipe to work for one tiny pie allowing the recipe to be multiplied for the amount desired. I used one standard crust recipe which covered my three pies and would say 4-5 times the filling amount of the recipe below would fill a regular pie size. Gooseberries are a bit more intensive to prepare though nothing to be concerned about. The dainty stem needs to be removed as well as a flower remnant on the bottom of the berry. I was able to pinch each off quickly. I decided to try two new things at once (something any good hostess knows is fraught with perilous opportunity). I tried a new crust approach I’d heard about from the CIA touted as the perfect ratio-based pie crust. It did turn out well but took a bit more finessing for me probably since I used gluten free flour. I’ll include a link or you can use any favorite crust recipe or a store bought crust. 2. In a small bowl combine the gooseberries, sugar, lemon juice and starch. Stir to fully combine and coat the berries. Allow to sit at room temperature. 3. Prepare pie crust and line mini pie pan or tart pan with crust reserving excess to create a lattice top or cut out for the top. I used a mini tart pan that measures 4 ¼ inches in diameter x 1 ½ inches high. 4. Spoon berry mixture into the pie crust. 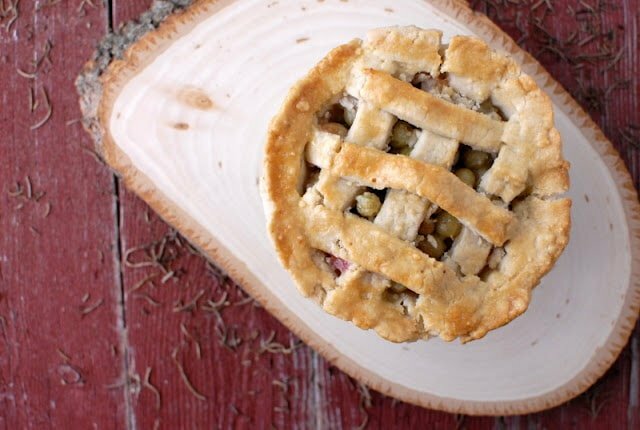 Create a lattice top (by cutting ½ inch crust strips to weave on the top) or place crust cut outs on the pie. Combine one egg and one teaspoon of water; whisk to fully combine. Gently brush the pie rim and lattice top or cut out with the wash.
5. Place pie on cookie sheet and bake for 25 minutes or until top of pie and crust begin to turn golden brown. Check the pie halfway through baking. If egg wash has soaked in brush the pie again to ensure a glossy browned end result. 6. Remove and cool fully before serving or eating. Looks cute and delicious. Will have to give it a try. Thanks for sharing. I’m so glad I found your site! I have a small gooseberry busy with a small yield (perfect for your small pies!). Tonight I’m going to make the little pies! Thank you! Okay I know I shouldn't call pies cute but they are. I am totally in love with these. 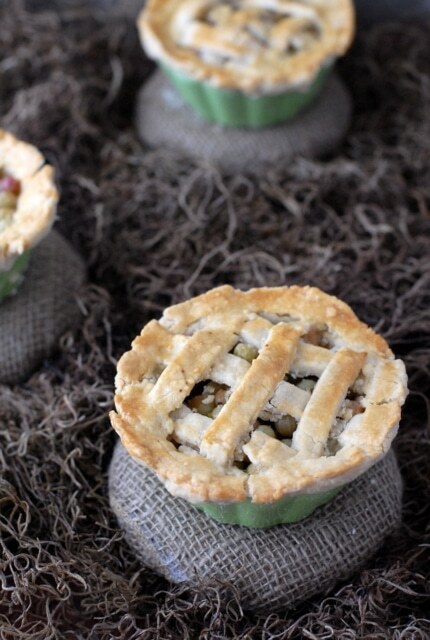 These little pies are so super cute! I love gooseberries — I have a couple bushes in my backyard, but it takes so many little berries to amount to anything! I'll have to try the pies! What beautiful little pies Toni! You can just feel the details and attention that went into making them. I've never had gooseberries or even known what they were until now. Love the story about the Christmas gifts and had to chuckle about Mr T. Our Realtor used to give us a case of oranges every year and I so looked forward to them. The last two years, he's switched to chocolate and cookie towers. I liked the oranges better. So what did these gooseberries taste like? I'm not quite sure what it is about getting oranges from someone's tree (well in Colorado I suppose it would be the miraculous quality of it since we can't grow citrus)but I love the simplicity of it. My MIL winters in Florida and sends citrus. I appreciate it and especially the winter I was a strict locavore as I would not turn away a care package local to someone else and reseted easy knowing my experiment would not leave my family with scurvey thanks to her gifts. The berries tasted like something in the table grape family to me. Not exactly but that is the closest. The flavor was not too strong but it sounds that they can be very tart. Mine fortunately were not. You are so scandalous! I did some late night research not imagining what a berry could possibly do to get itself outlawed. It is a an alternate plant host to White Pine Blister Rust which is a threat your fair state is unwilling to bear. Currants too. Mmmm okay I really need to get out and go fruit picking! My local farm has these and I love love baking with them! Great post and photos! So it sounds Elyse that they do the picking but you can buy them? Any way you can get them is good to me! For me they have a bit of that 'supply and demand' angst to them in that they are not common so I want to buy them all! Hope your supply is more predicatable. Where are you located by the way (region)? Thank you too! Wow! Both of these recipes sound delicious and look beautiful! Thank you! I promise they are! Thanks for the fun trail of discovery about the illegality of gooseberries and currants. Who would have guessed?! Ooh, I want to try gooseberries, too! 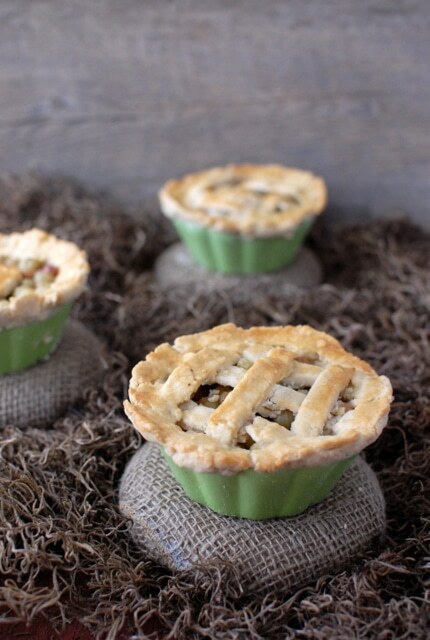 Your mini pies are so darn cute…and I must try the crust recipe, too. 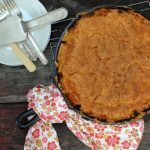 Being the Baking Goddess you are I'd love to hear your feedback on the pie crust method if you make it. I suspect if I wasn't using GF flour it might have come together a bit more readily. The chef talked about ruining it through over working. Mine turned out good but I know I DID overwork it. Oh well. The pies completely charmed me so in the end all is good! I LOVE LOVE these tiny pie gems!! I've read this post twice now…. great job. The gooseberries are so beautiful with their striped appearance. The pies are adorable. Oh thank you Lisa! Something about a tiny dessert that has charm isn't there? This of course was a function of my supply of berries but they inspired a bit of whimsy from the their appearance. 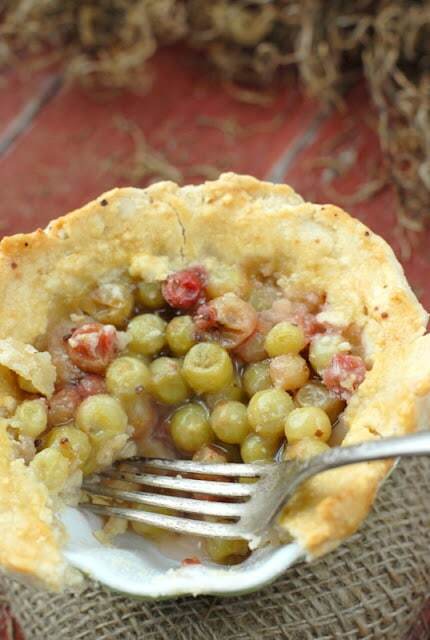 I won't let my husband see your adorable gooseberry pies because he grew up with them on a farm in Iowa. We used to grow them, but they were so sour and needed so much sugar, that I neglected to plant any when we moved to a new home. Nana Clare! What a peach you are to leave this lovely comment. I only have tried these gooseberries through Bob, the farmer, rang in to mention the tartness. The green berries were very mellow so maybe it's the end of the season, our Colorado soil or my early luck! Did not have any tartness to speak of. And I agree on the fruits requiring tons of sugar; always feels like it's negating the benefit of the fresh fruit. I try to avoid that whenever possible. Oh aren't these just the best! I love their name and how they look. I am so looking forward to gooseberry season over here…it's just started. Have you come across the red gooseberries? I feel they should be a central character in a beguiling fairy tale! I don't know anything about gooseberries; are the red berries a different variety than these? Different than when these turn red? Do tell! 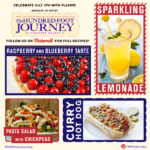 This is, perhaps, our favorite food blog to check in on daily! This post was fantastic and the little pies are so sweet. We love the time you take to make each photograph look so special. Thanks for making our day brighter! Your comment is humbling Charlotte! I can't tell you how heartwarming it is to hear your generous thoughts. Thank you. I'm honored to have you reading! I don't think I've ever had gooseberries before but gosh, these are adorable! Love! Aren't they just? I was immediately smitten and they did not disappoint in these little pies either! 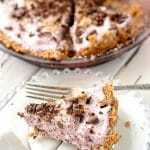 Tony, I loved reading your post, so interesting; Your pie crust is so perfect flaky, and it's the way I make it, as well. 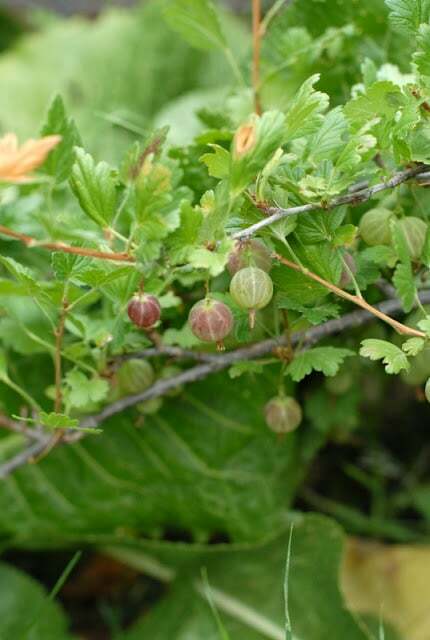 The gooseberries are something that I have never seen in S. Florida, unless Whole Foods might carry it! 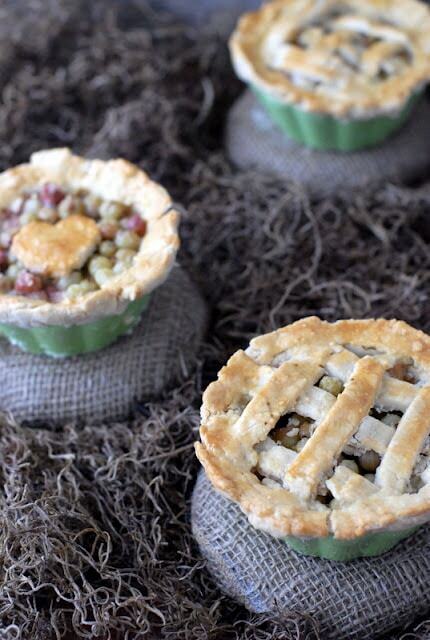 Love the cute little pies, and the photos. Also the previous photos of the great farm, and the yummy pandowdy! I love coming to your blog…it always puts a smile on my face with all your amazing things and photos! Elisabeth your comments are always so heart-warming, thank you! I don't know where gooseberries really live. As I mentioned this was my first encounter so I don't think they are natural to this area either. In any case I'm so thrilled thecouple who run Hoot 'n Howl farm took a chance on a few bushes. They've tried blueberries too but our Colorado soil is not the right fit for those. Thanks again for reading and commenting Elisabeth! Always makes my day. 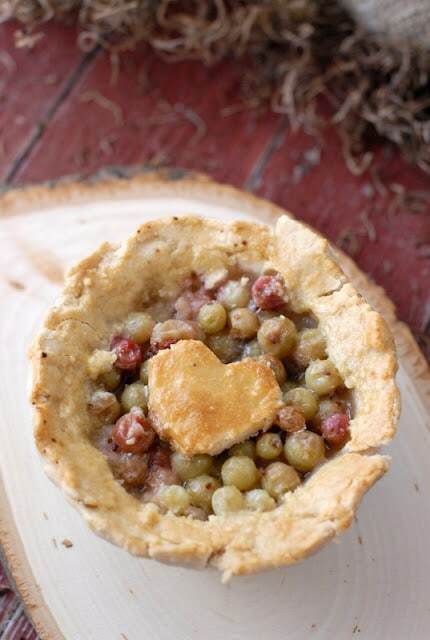 I LOVE everything about this recipe – and everything about teeny tiny pies in general! I don't think I've ever had a gooseberry and think I would get almost TOO much joy out of them too 🙂 Love love love. Thank you Jacqueline. There was no turning back once I spyied these little berries. The teeny pies were conceived of due to the available volume of berries and in hindsight I'm glad for the small amount. These turned out so well and really are darling. Hope the summer is going well for you! Thank you again for your writeups on us, this time on the gooseberries. I love your “dark pink” characterization and will adopt it! When you came i felt guilty about the gooseberries being at the end of their VERY short season. The “perfect” time to harvest gooseberries is just as the first berries begin turning “pink”. At that time one should, ideally, harvest ALL the berries on the bush. The non-pink berries bring a wonderful, yet mellow, tartness to however you use them: Pie, sauce or preserves. 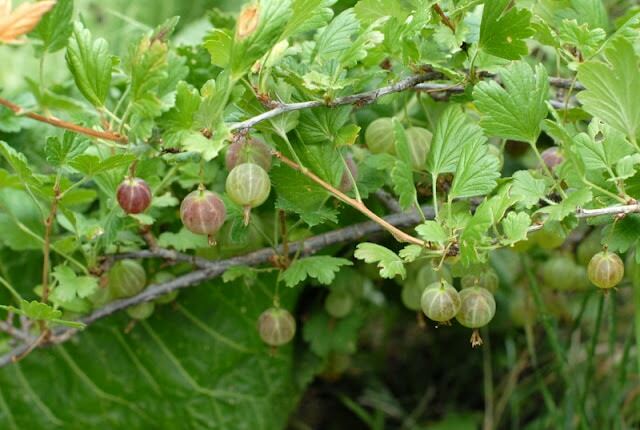 I'm the gooseberry boy–Janet tolerates my fascination with them. I'm so fond of them because of their unique, mellow flavor. People ask me to describe them and i have to say, 'There is no good way to describe the flavor. They are tart yet mellow–a subtle delight for our senses. Again–Thank you! Bob thank YOU for creating such a wonderful local haven offering so many different 'engagements' with food! From the easy farm stand pick up to the pick-your-own aspect. People are desiring a closer relationship with their food these days and you offer all of that with convenience and a setting that should not be missed! Thank you also for the gooseberry intro! Hi Farmer Bob. I love reading your comment because your love for the gooseberry shines through. I'm a huge fan as well. My mom planted a bush in our yard eons ago and made the best gooseberry preserves year after year. I would tell people that if I was a fruit, it would be a gooseberry. It looks a bit goofy and you can't tell anything about what it'll taste like just by looking at it. Once you do taste it, you still can't describe it because it's so, so unique. I'm beginning to wish I lived in Colorado instead of North Carolina! These are just gorgeous! I've never had gooseberry pie. We have a similar local fruit here, I'm not sure if they are gooseberries or a variation which is slightly larger but seriously tart and a little sappy. The locals pickle them while green and unripe in a sweet/salty liquid and as kids, we used to snack on them. Are these tart? I've seen these in the grocers (imported of course and costly) but have never tried them. I might try them with our local fruits. What a great idea! Hi Ping! Aren't these the cutest? I originally began picking the darker berries thinking they were the ripe ones. I eventually tasted a green one and it was sweet and ripe. Bob, the farmer, in seeing my picking confessed he was pleased I was able to find some that had not turned 'brown' (thought they looked more dark pink to me) as the green berries are ripe. Not having many available I used them all. They really taste more in the gentle grape flavor family to me. I added a bit of lemon juice which did add some tartness but the berries on their own were not. In my mine these are pies but I suppose the tiny pans are probably for tarts. Because I envisioned the lattice top I think they are pies (but really can be whatever you want! ).